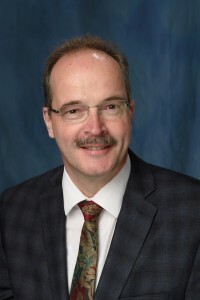 Dr. Christoph Seubert is a Professor of Anesthesiology and Neurosurgery, and Chief of the Division of Neuroanesthesia, at the University of Florida. He received his medical degree from Julius-Maximilians-Universität in Würzburg, Germany and his Ph.D. from Albert-Ludwigs-Universität in Freiburg, Germany. Dr. Seubert completed his residency in anesthesiology at the University of Heidelberg in Heidelberg, Germany. Additionally, he completed a residency, as well as a fellowship in cardiothoracic and vascular anesthesia, at the University of Florida College of Medicine. His clinical interests are in anesthesia for neurosurgical procedures and intraoperative neurophysiologic monitoring.